In case you haven't figured it out already, this is a multiplayer game played using the broadband adapter. Players take can control of a variety of jeeps, tanks and buggies each with their own differing strengths and weaknesses. 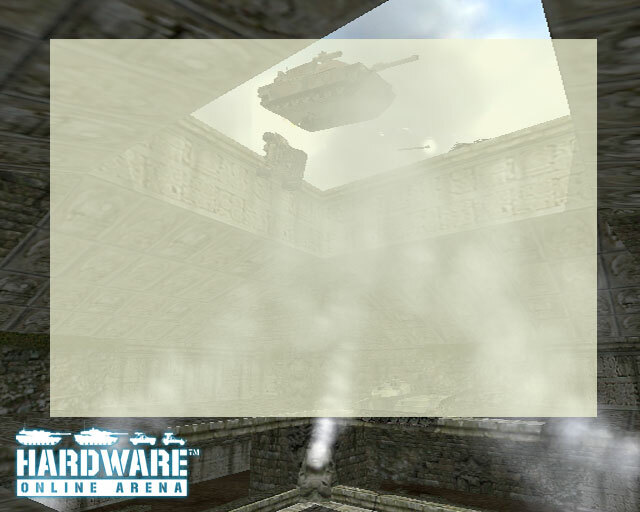 The tanks are more lumbering, but carry a more powerful default weapon whilst the buggies nip around like mosquitoes. Games are played with up to sixteen in the arena and you can opt for a deathmatch or king of the hill game. Factor onto this that each game type can run in a team or individual mode and this gives you four basic game types. Once you have decided how you want to play then choose your winning conditions either cut off on time or the number of points scored. There are five arenas to play in, keep an eye on the gallery to get a flavour. Blowing other folk up is a big part of this game and to make it more fun there are a number of pick-ups that can be used to upgrade your standard shell or machine gun. Some swear by the powerful rockets, others like the smart missiles, whilst there are a few that will stick it out for the rare, but deadly, laser. Life is cheap in this game, if you die then reincarnation is just around the corner with respawn almost immediately following your untimely end. With just a few seconds before you restart you may wish to use the voice comms to congratulate the fine player that just fragged you. The control system is simple, anyone who is ever played a driving game can probably get by without reading the instructions at first. 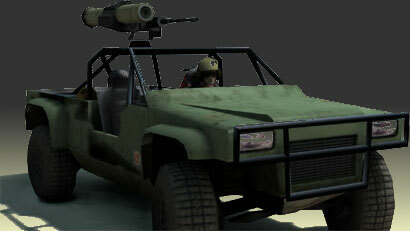 The vehicles weapons have independent turret controls, which can take a little getting used to but it pays off in frags. As seen at the Playstation Experience 2003, there are a variety of special pick-ups to be found on some maps. For example, in Area 51 an airstrike can be called in forcing all players to take shelter or be destroyed. These features not only provide simple amusement but can force a period of intense, close quarters combat.